SX1261, SX1262 and SX1268 sub-GHz radio transceivers are ideal for long range wireless applications. Both devices are designed for long battery life with just 4.2 mA of active receive current consumption. 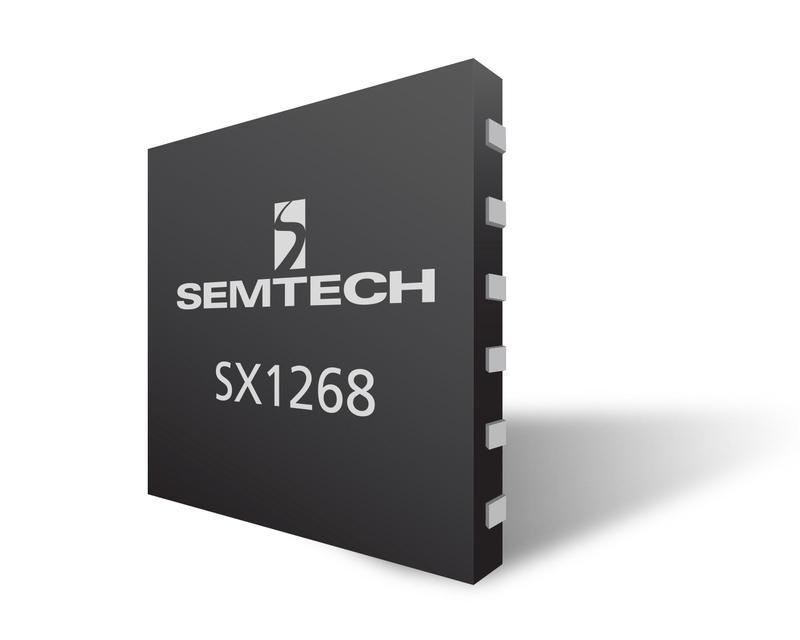 The SX1261 can transmit up to +15 dBm and the SX1262 and SX1268 can transmit up to +22 dBm with highly efficient integrated power amplifiers. These devices support LoRa® modulation for LPWAN use cases and (G)FSK modulation for legacy use cases. The devices are highly configurable to meet different application requirements utilizing the global LoRaWAN™ standard or proprietary protocols. The devices are designed to comply with the physical layer requirements of the LoRaWAN specification released by the LoRa Alliance™. The radio is suitable for systems targeting compliance with radio regulations including but not limited to ETSI EN 300 220, FCC CFR 47 Part 15, China regulatory requirements and the Japanese ARIB T-108. Continuous frequency coverage from 150 MHz to 960 MHz allows the support of all major sub-GHz ISM bands around the world. The level of integration and the low consumption within SX1261/2 enable a new generation of Internet of Things applications.